I made the announcement to a group of close friends. There was a deafening silence at first and then the reprimands began. ‘You haven’t been to Chat Thai? Like, none of the Chat Thai’s?’ No, I whisper. ‘But you love Thai food?’ I try to defend myself by explaining how the first time I tried to go it was a 2.5 hour wait. But it was pointless. The group were unanimous in their decision– there was no excuse. I may not have dined there but I do know all about Chat Thai’s founder and owner – Amy Chanta. A migrant success story, Amy moved to Australia in the early ’80s, leaving her two small children in Bangkok with a Chinese nanny. Two years after working as a machinist, Amy finally had enough money to bring her children to Australia. Stints at U-thong in Cammeray and even McDonalds gave Amy the skills to open her own restaurant and so the Chat Thai empire began. 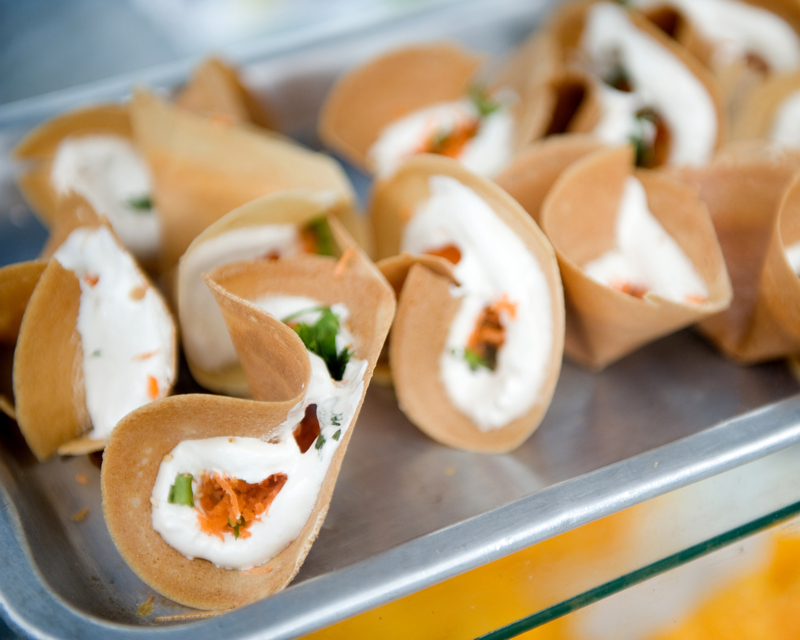 Unlike most restaurant chains, each Chat Thai outlet offers something slightly different. There’s the Chat Thai at Manly Wharf – delivering piping hot takeaways to hungry office workers who’ve just jumped off the ferry and then there’s the flash new Westfield one – tucked beside Xanthi on Level 6 – with its super cool dessert degustation delights. Tonight we’re at Haymarket – where a late night supper menu feeds shift and hospitality workers until 2am. Chat Thai’s Thaitown offers an ever-changing menu that specialises in market food from different regions of Thailand, bridging the gap between takeaway and fine dining. Start with fried fish cakes or gai satay, following by the popular crying tiger – char grilled beef with smoked chilli and tamarind relish. 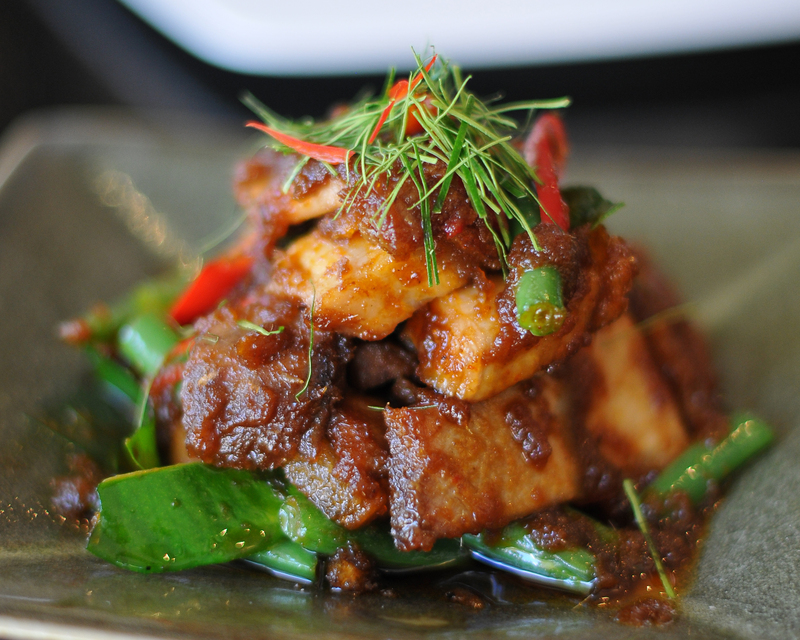 The pad ki mao with roasted duck comes highly recommended, as does bpla raadt prik – a whole snapper deep fried and served in a roasted chilli and garlic sauce. Throw in a green papaya salad and a chicken larb and there’s your DIY Thai banquet. If you don’t want to expand your culinary repertoire then there’s always pad thai and we are happy to vouch that this is undoubtedly the Rolls Royce of all pad thai’s.